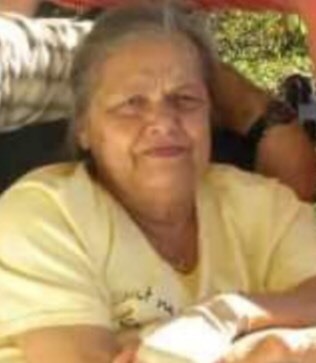 LEA Jo Bosworth, 74 of Chattanooga went home to be with the Lord Wednesday, April 3rd, 2019 in a local health care facility. LEA Jo was born in Norfolk, Ohio, but spent most of her life in the Chattanooga area. She was a compassionate woman who loved God and his word. She spent many hours doing embroidery and latch work. She was known for her tender loving care of others; she always made sure you were fed when you came to her house. She had a servant’s heart and made sure that on Thanksgiving her family served others their meal before they ate. Leajo raised several children throughout the years and enjoyed joking around with her friends and family. LEA Jo was preceded in death by her parents, Kenneth and Genevieve Vaunburn; and daughter, Michelle Bosworth. Survivors include her children, Kim and Scot; grandchildren: Arlene, Jennifer, Bryon, and Bre; great-grandchildren, Haden, Savannah, Baila, Noelei, Jaden, Oscar, Felix, and Remy. Funeral services will be held Sunday, April 7th at 2pm in the South Crest Chapel.